If you were in the dentist's chair waiting for the dentist to come in and the assistant asked you if you wanted to watch the TV would you say "Yes" or prefer to sit in silence and meditate? 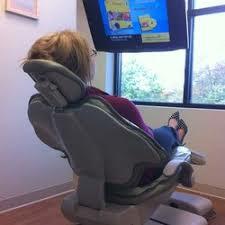 The dental assistant asked me if I wanted to watch TV while I was waiting for the dentist. I said nicely, "No, I didn't come here to watch TV. Where's the dentist. The assistant said, "She will be with you shortly." I noticed they had about 5 chairs going and the dentist was running back and forth like she was working an assembly line. I finally walked out after 15 minutes never to go back. I found another dentist. Something is terribly wrong with our health care system in the U.S. It's all about money and no longer about patient care. I get much better service from just about any retail provider than I get from my health care providers.